Hello everyone and welcome back to my blog! How has 2018 been treating you so far? Personally, I've been sick most of if, but that's how every winter goes for me. Hence why I've missed a few uploads! I hate missing posts, but I'm pushing myself to get this post up on time! Today I'm sharing with you my updated everyday sort of makeup tutorial. Wheater it comes to running errands or just having to leave my house in general, I like a little makeup on. I don't think I need makeup, I just love doing it! Let's get into this tutorial! Today I'm using the Carli Bybel palette, because what else do you expect from me, lol. I don't have many palettes. Hopefully for my birthday I can get a good one, reccomendations below please! To prime my eyelids, I used my hard candy eyeshadow primer and set it with the matte cream shade as always. Since this is more of a softer look for me, it only uses four colors from the palette. On a natural fiber blending brush I picked up the medium warm brown and brought it through the crease and a little above. I have hooded eyes, so I have to bring the colors higher up to keep them visible. I brought the crease shade only half way in to keep my eyes open and bright looking. I of course took a clean fluffy brush anf blended the edges! On my lids, I used the light creamy highlight shade on a flat shader brush. 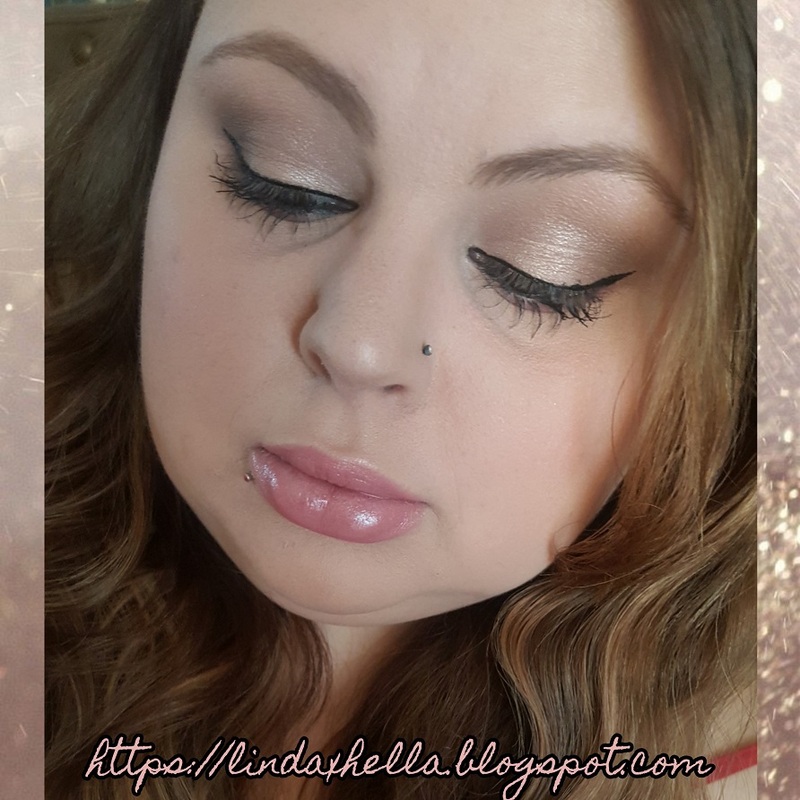 I took the shadow from inner corner to two thirds of the way out and lightly patted and blended the edges on my crease color. On my lower lash line I used the warm soft purple on a small natural fiber blending brush and smoked it out softly just to add a pop of color. To finish off the look, I used my eyeliner pen and did a small flick, bringing the line in super fine and all the way to the tear duct. This created an elongated shape to my eyes, which I honestly love the look of! Thank you so much for checking out this tutorial! I hope it was easy enough to follow, if you have any questions about look, let me know in the comments down below. If you know anyone who would love this look, please share it with them! If you have the time, I would love some feedback on this tutorial. Was it easy to follow? Should I lay out the text spaced out more? I appreciate you stopping by and taking time to read my new post! Blush, it's one I made myself!